The very first pattern in the Graham Cracker Collection! 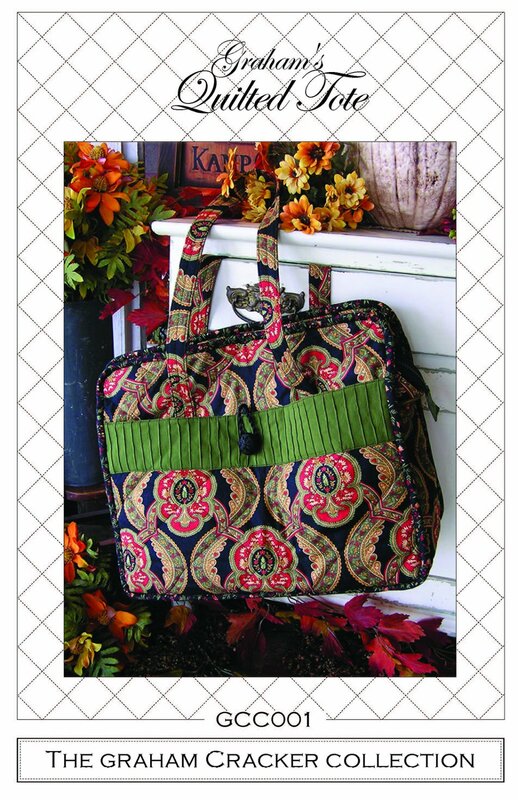 Enjoy this comfortable shoulder tote, great for sewing classes or travel. Measures approximately 18 x 14 x 6½”, with 54” straps and pockets galore. One large 18 x 10” pocket and two 9 x 10” pockets on the outside. Five or six pockets on the inside, each 9” deep. Super easy zipper! Showcase your embroidery, appliqué or a beautiful piece of fabric on this beautiful tote.